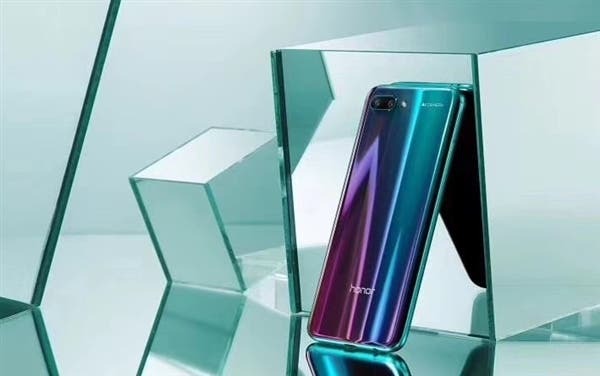 Honor took the lid off its heavily leaked Honor 10 smartphone today in China. 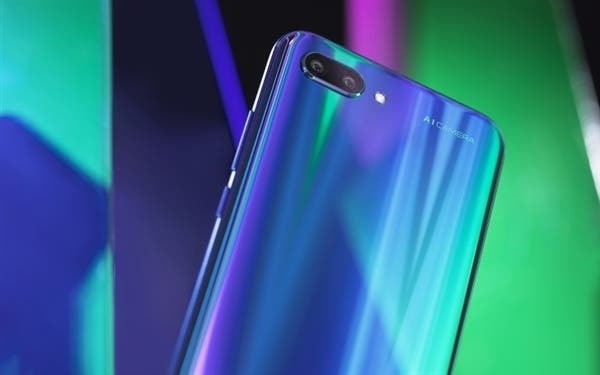 The handset bears not only physical resemblance to its Huawei P20 brothers but internal as well. It comes with the same shiny glossy back that has been in the leaks for some time and obviously, the notch. It also has similar processing muscle and some newly added AI tweaks. Honor spent quite some time at the launch demoing the camera’s AI features. 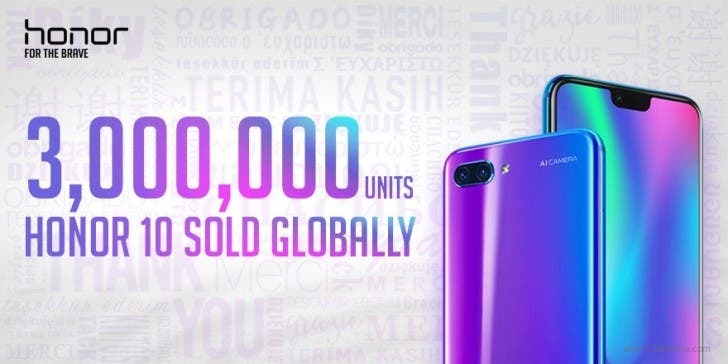 The Honor 10 is will bring the AI prowess of the P20 to an affordable point. Thankfully, you don’t have to part with your beloved 3.5mm headphone jack with this one. If you’ve been following leaked information, you won’t be much surprised at the majority of stuff. 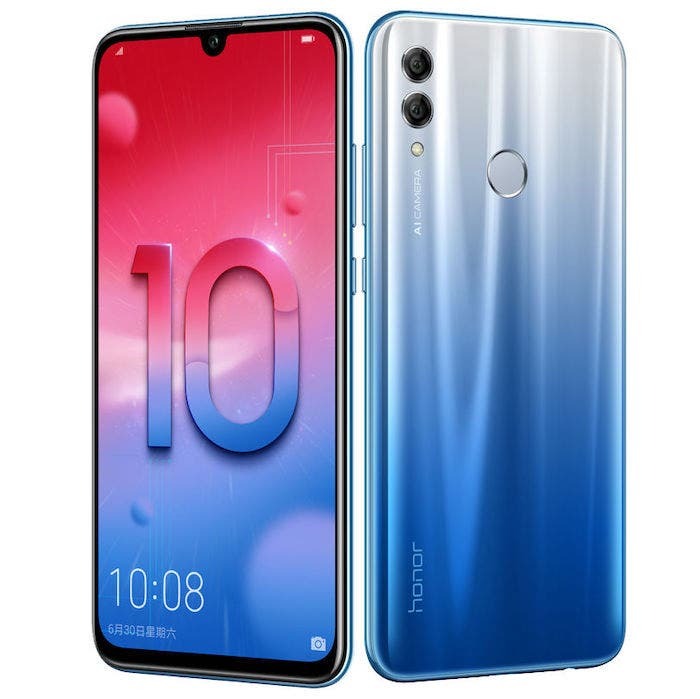 The Honor 10 features the Kirin 970 processor which lies beneath a 5.84-inch Full-HD+ IPS LCD display with 19:9 aspect ratio. The rear camera of the phone has a combination of 24MP + 16MP shooters with the same f/1.8 aperture. 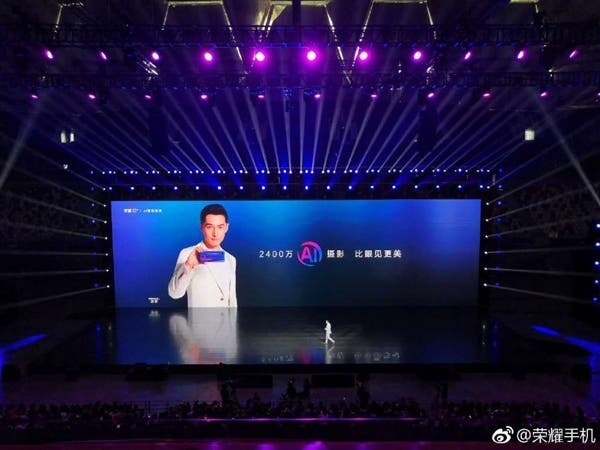 You can expect the AI quirks of the P20 in the Honor 10. Plus it has added scene detection features. The selfie shooter is a 24MP lens with features like hair and face detection for a better bokeh mode. It has intelligent light compensation as well as a portrait mode. 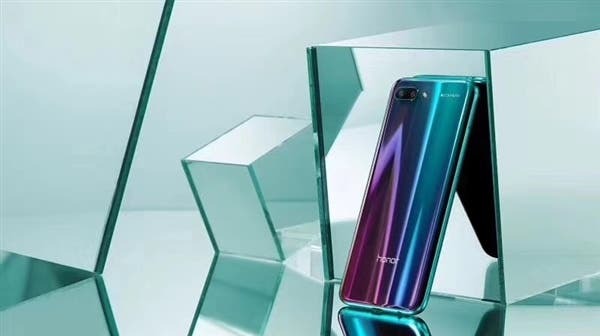 The Honor 10 has 3D portrait light feature that compensates for low light depending on the scene. The AI can identify as many as 500 scenes for selfies and highlight various facial features. It will also do better bokeh with AI hair and facial recognition. In essence, it is a good upgrade over the Honor View 10. The Honor 10 has a 3,400mAh battery that powers the latest Android 8.1 topped with EMUI 8.1 Honor also said the battery fast charges at the rate of 50% in 25 minutes. 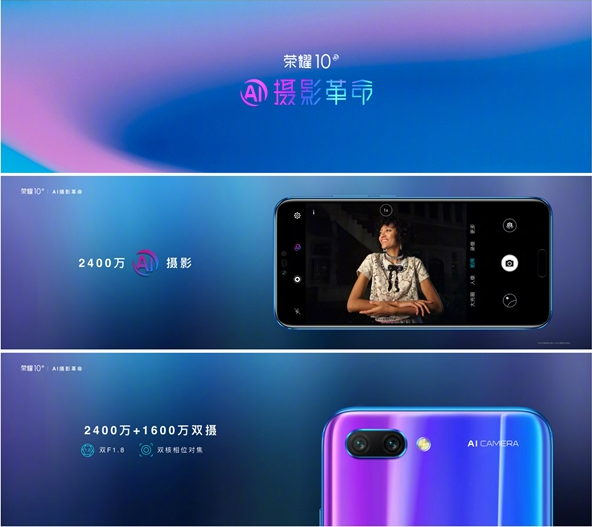 As for pricing, the Honor 10 comes in two variants, 6GB + 64GB and 6GB + 128GB. 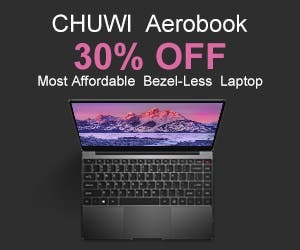 And we must say the pricing is killer.